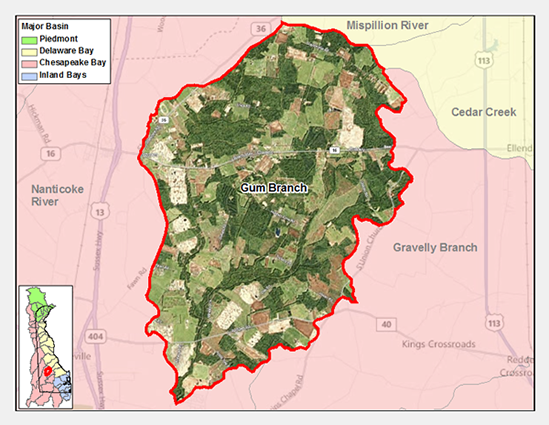 Gum Branch Watershed is part of the Nanticoke River Drainage Basin. 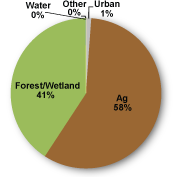 Nutrients (phosphorus and nitrogen) and bacteria are problems in the Gum Branch Watershed. The Gum Branch TMDLs require a 3% reduction in bacteria loads, a 30% reduction in nitrogen loads, and a 50% reduction in phosphorus loads.